Ruth Davidson and Michael Gove have teamed up to call for the UK to leave the common fisheries policy (CFP) when post-Brexit. The Scottish Conservative leader and UK environment secretary said it is “vital” that the country regains control over its own fisheries management after it hasleft the bloc in March 2019. Last night, industry chief Bertie Armstrong hailed their calls for a “fairer allocation” for the British fishing fleet. In a joint statement, Ms Davidson – who campaigned to Remain – and Mr Gove – a prominent Leave supporter – said: “We believe it is vital we regain control over our own fisheries management. “As proud Scots, we feel a particular debt to fishing communities who are looking to government to deliver a better deal for them. “We agree we must deliver a fairer allocation for the British fleet in our own waters. “As we leave the EU, we want the UK to become an independent coastal state, negotiating access annually with our neighbours. And during the implementation period we will ensure that British fishermen’s interests are properly safeguarded. 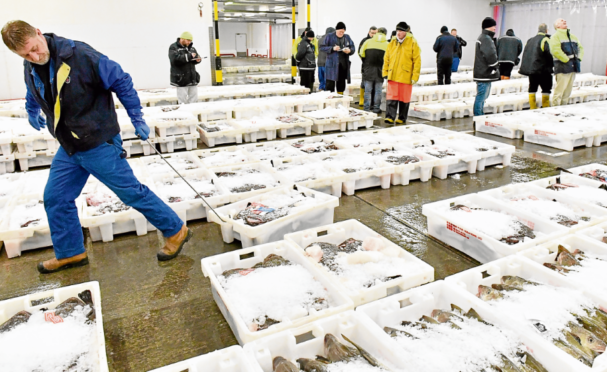 He added: “As our own polling shows, Brexit presents a huge opportunity for the fishing industry, which leavers and remainers alike have urged ministers to seize. The politicians spoke out as the SFF set out its “red lines” which the industry is warning the UK Government not to cross in Brexit negotiations with the EU. It is demanding an immediate exit from the CFP in March 2019, “ensuring the EU does not have the right to grant access and set fishing opportunity and management rules within UK waters during the implementation period”. Last week the SFF criticised draft EU guidelines on a post-Brexit fisheries arrangement to allow EU access to UK waters. Mr Armstrong completely rejected the idea.